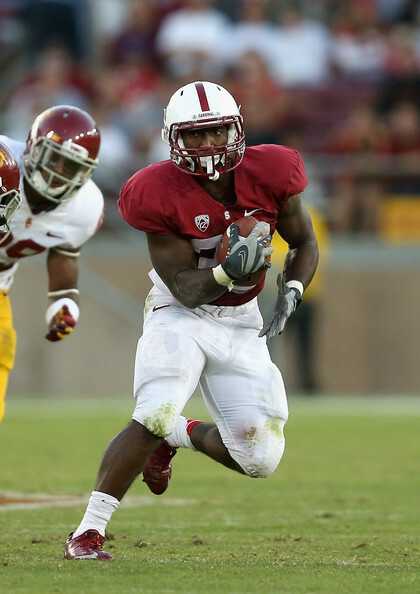 Randall Cobb (pictured above), may be the best player in the entire country that nobody is talking about. Well look for him to make a statement and lead Kentucky to a major SEC upset victory Saturday on the road. The College Football stratosphere is really shaping up at this point. Undefeated teams are dropping like flies. Teams are taking control in their conference races. Yet this is College Football. The chaos will continue until well after New Years baby. And you got to love it. There are not a ton of high-octane matchups between major ranked foes, but the games will still be exciting this weekend. Here is a look at some of the major games. Michigan State at Iowa: What a Big Ten Showdown this will be. Michigan State continues to shock the entire country with an undefeated 8 and 0 mark, while Iowa looks to redeem itself after a very tough loss to Wisconsin last week. With better clock management, this game would be a showdown of teams undefeated in Big Ten play, but Iowa faltered down the stretch against the Badgers. The Spartans are beginning to learn the difficulties of being the “hunted” vs the “hunter.” They almost took what would have been a horrible loss last weekend to Northwestern. Well expect the bus to continue rolling for the Spartans. This game is really the only tough matchup between a Dantonio’s boys and a trip to the Rose Bowl, or dare I say the BCS National Championship game. Look for the Spartans to gut out a very physical 3 point victory. Missouri at Nebraska: Talk about a Big 12 Showdown. Missouri shocked the sporting world by handling Stoops and the Oklahoma boys last Saturday. For both of these teams, this is really the last matchup against a highly ranked opponent. So the winner of this game, could cruise to the Big 12 Championship game. You better believe this is going to be a defensive struggle. These might honestly be the two very best defensive units in all the land. And they get to lock horns on Saturday. The difference will be Nebraska’s home field advantage and ability to run the ball effectively versus anyone. Though both of these teams put up points last weekend, look for this game to be an old school bitter battle. Edge goes to the Huskers at home by 3. Syracuse at Cincinnati: It is Homecoming in Cincinnati, and the Big East is up for grabs. Syracuse shocked the world last weekend with a big time road victory over the Mountaineers in Morgantown. Can they pull off the unthinkable and knock off the two-time defending Big East Champion Bearcats? I don’t think so. Once again I will state “It is Homecoming in Cincinnati.” The Cats have a chip on their shoulder after suffering their first home loss at Nippert Stadium since November of 2007. Look for an offensive flurry from the Bearcats, with or without their starting quarterback, Zach Collaros (he is questionable to play). Isaiah Pead, DJ Woods, and Armon Binns will have a field day against a tough Syracuse D. Pead, Woods, and Binns are 3 of the biggest offensive threats that many outside of Cincinnati have never heard of. Well get to know them. Look for the Bearcats to win an exciting one at home by 10. Kentucky at Mississippi State: Many of you are scratching your heads at why this is a marquee game this weekend. Well it is. Though Kentucky is just 1 and 4 in SEC play, they sport one of the nation’s most exciting and dangerous offenses. When people think of Kentucky, they immediately think of John Calipari, John Wall, and big time basketball. 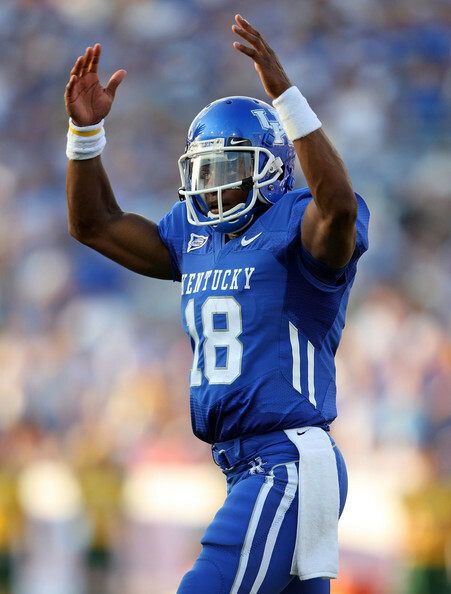 People in Lexington refer to it as “Big Blue Madness.” Well what they should think of is Randall Cobb. This guy is the real deal, and will be the difference maker in this game. Look for Kentucky to pull off the unthinkable upset on the road behind a wild offensive show led by Randall Cobb and Derrick Locke. I am by no means a Kentucky fan. But the SEC has been wild this year. Kentucky has already upset a top 10 foe in South Carolina, and nearly eclipsed number 1 ranked Auburn. Look for that same magic this week, as Kentucky shocks Mississippi State by 3 on the road. So there you have it. Not as many marquee ranked matchups this weekend as one would like. But definitely a plethora of quality games that will go down to the wire. After a mild improvement on my picks last week from 2 weeks ago, I look to get back to my old self with a perfect weekend.